Ok so I know I already posted a “Plan My Week” at the beginning of this week, and I know that usually once you have planned or the week ahead you normally don’t need to complete the same week again until the following week, for some reason the week just wasn’t working for me! 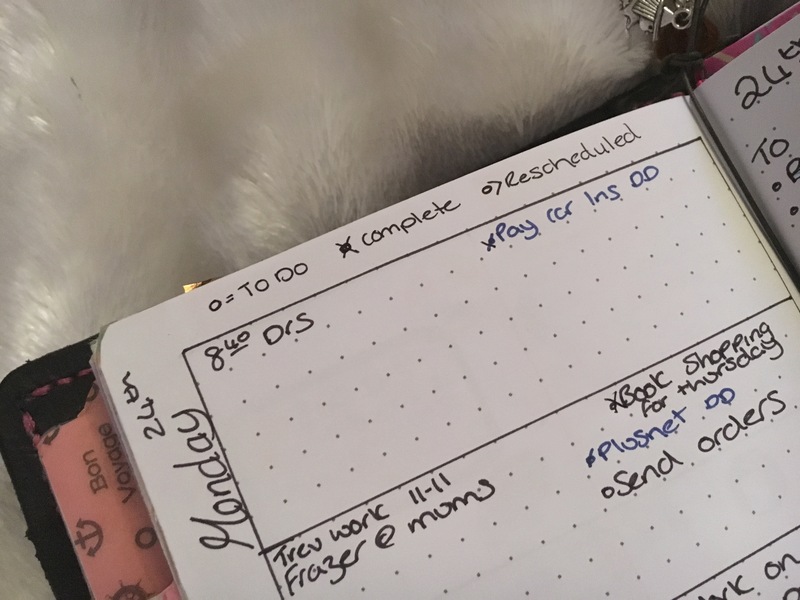 Planning is, for me, a way to keep my home/work/study/blog organised, to see what is coming up and any tasks I need to complete. It keeps me functioning and, when used properly, I run more efficiently. 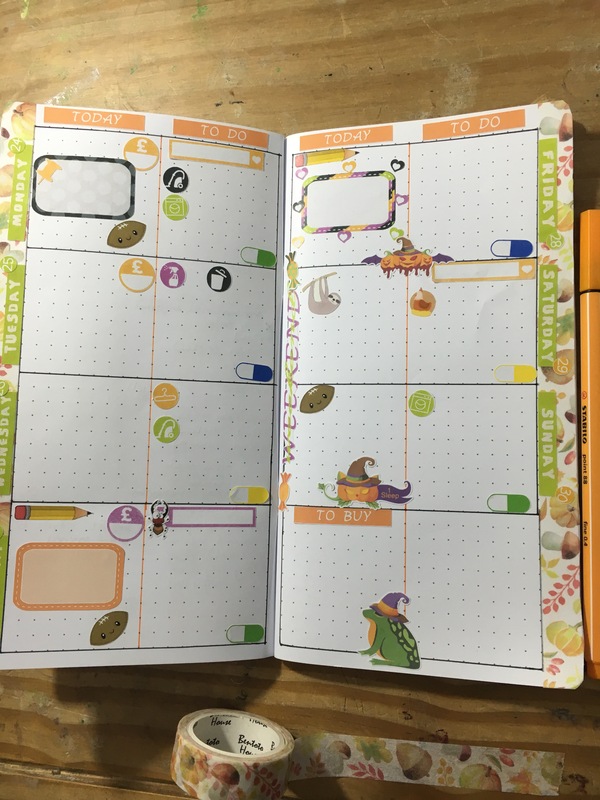 I know that for lots of people the use of stickers and decoration play a massive part in the planner journey and I love to look at all the pretty spreads, for me though I find a highly sticker page clogs my brain and makes me feel “busy” even on one of my less active weeks. I tried using functional stickers this week to highlight important tasks but every time I opened the page, something I have made a habit as soon as I sit with my first cup of coffee in the morning, I quickly felt overwhelmed and found I became reluctant to look at it again. 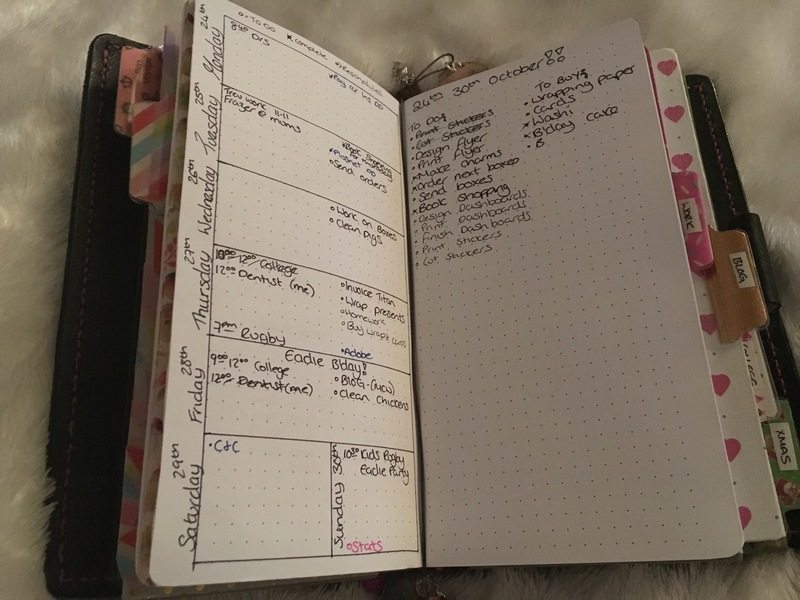 On Tuesday I decided that I didn’t have to live out this week in my Travellers Time insert if it wasn’t working for me, no one is forcing me to stick to a layout that isn’t working for me and apart from a few stickers and one sheet of paper I had nothing to lose. I flipped the page and drew out my alternate layout, it’s slightly BUJO style with a week on one page (WO1P) and the right hand page being for To Do’s and To Buys. Finally I have a system that is working out for me again, yes it’s rough and not pretty but it’s doing what I need it to do, the page is uncluttered and tells me exactly what I need to know. I can see everything I need to accomplice this week and can prioritise from the list every day. This is my “Key” system at the minute which I found on a YouTube video, alas I cannot now remember who’s. I have some simple colour coding this week but next week it’s something I am going to try to fully implement from next week. One of my goals for the next 6 months is to improve my handwriting and as this is a whole page of just my writing I really am going to crack on with practicing. I suppose the moral of this story is that something that works for one person won’t necessarily work for you, take ideas from lots of places, Pinterest, Instagram, Facebook and YouTube to name a few, and adapt them in ways that work for you… I’m off to Pinterest for bullet journal ideas for next week.